The monks and nuns of the Shaolin Temple acted primarily to practice Ch'an Buddhism and foster spirituality and harmony within Chinese society. Over the course of China’s history, though, times of strife erupted that caused the Shaolin monks and nuns to periodically take on the role of peacemakers to protect the Temple and restore harmony to society. One such event occurred when a general of China’s Sui Dynasty, Wang Shichong, deposed the last Sui emperor, Yang Tong, in 619 AD. Wang Shichong established himself as emperor of the successor state of Zheng, but was opposed by forces of the emerging Tang dynasty that was founded in 618 AD by the emperor Li Yuan. Wang Shichong appointed his nephew, Wang Renzhe, as a senior general. Wang Renzhe positioned massive armies and built fortresses in the area of Baigu Village to halt the eastern advance of Li Shimin, the Prince of Qin and future Tang emperor, whose base of power lay in northwestern China. 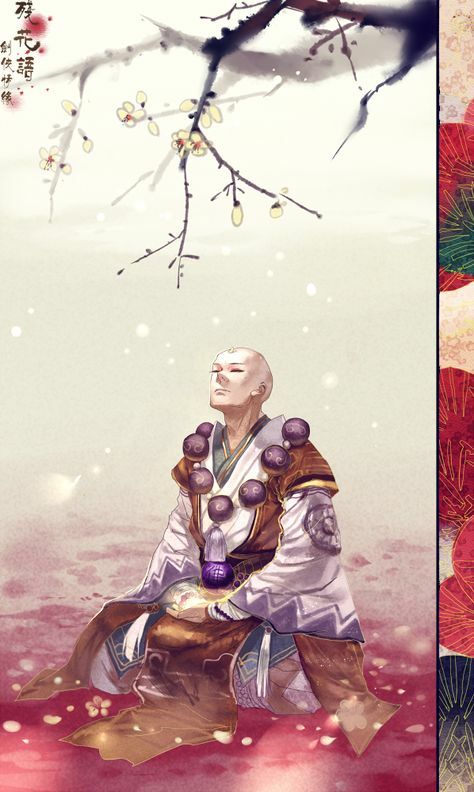 In the third year of the era of Wude, Li Yuan’s reign, the emperor ordered his son, Li Shimin, to lead a punitive campaign against Wang Shichong. Li Shimin sustained some defeats during the opening battles of the campaign, though. During that time, there were 13 Shaolin fighting cudgel monks stationed at Baigu Village. Chief among them were Tan Zong, Zhi Cao, and Hui Yang. They opposed Wang Shichong because of the latter’s invasion of the appointed fief of the Shaolin Temple. The cudgel monks led the local people in an attack on Wang Renzhe’s army, defeated the army, and captured Wang Renzhe. The cudgel monks sent their prisoner to Li Shimin. The captive Wang Renzhe eventually helped to persuade Wang Shichong to surrender to Li Shimin as the campaign wound down. The young Tang dynasty went on to establish itself and unify China. 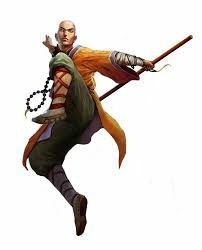 When Li Shimin succeeded his father in 626 AD, he lavishly granted rewards and titles to the Shaolin Temple and the cudgel monks. 40 Qin (approximately 266 hectares) of land was awarded to the Shaolin Temple along with a water-driven mill. The 13 cudgel monks received prizes and titles. The monk Tan Zong in particular was appointed a senior general. 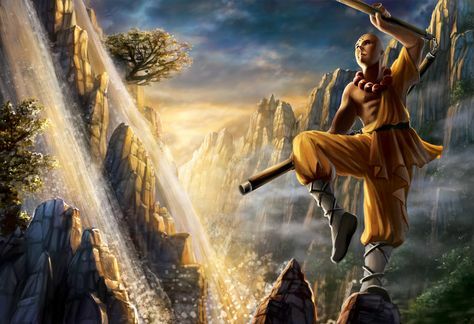 The tale of the 13 cudgel monks is one of many in the history of the Shaolin Temple. Though not soldiers and warriors, generations of monks and nuns from the Shaolin Temple dedicated their lives and service to China and the pursuit of justice. The principles of Shaolin culture and practical fighting techniques are taught in martial arts classes held by the Michigan Shaolin Wugong Temple.